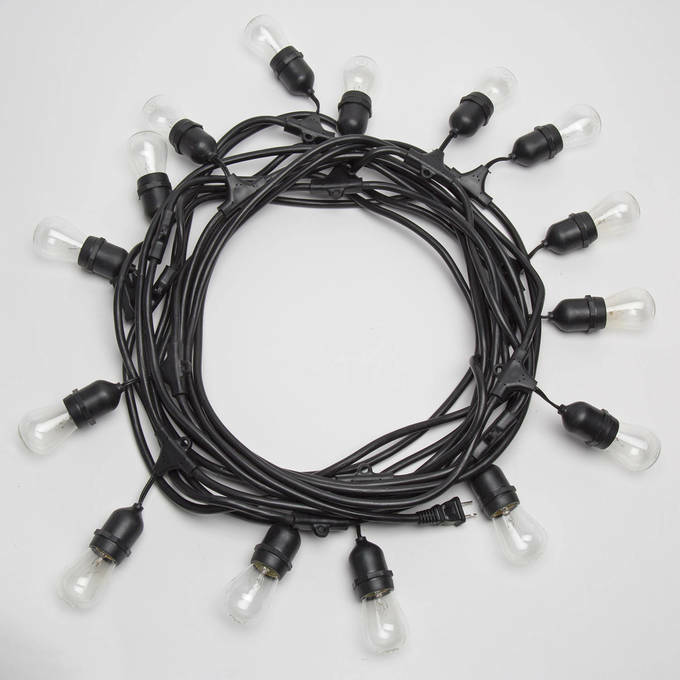 There are only 547 available of the Heavy Duty 15-Socket Vintage Light Strand with Bulbs. Your selected quantity has been adjusted. 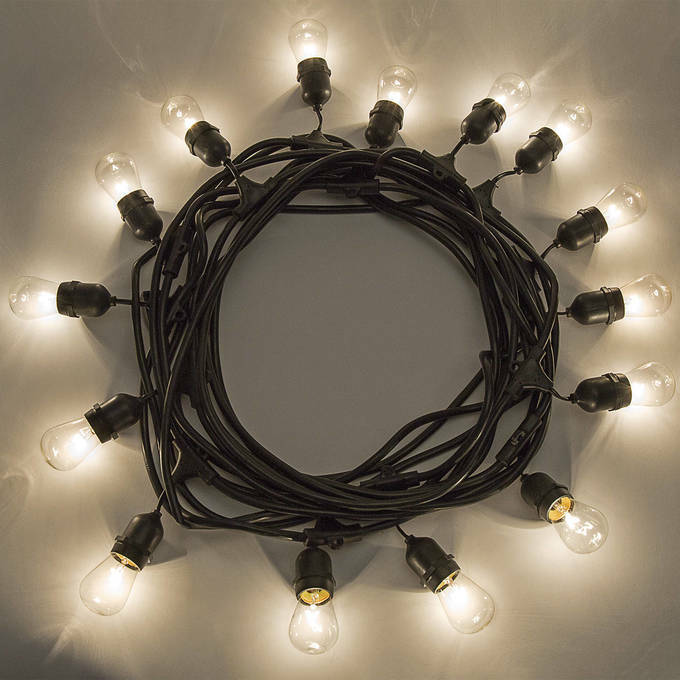 This set of festive string lights features fifteen globe bulbs, emitting warm light, strung along a forty-eight foot strand. 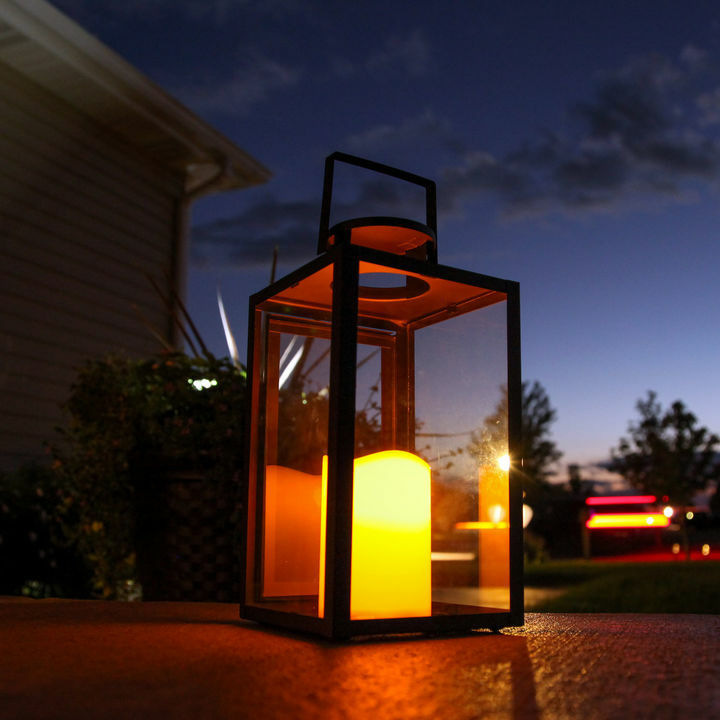 Swag back and forth over your garden, patio or gathering for an inviting glow and a touch of vintage charm. Lights exceeded expectation! 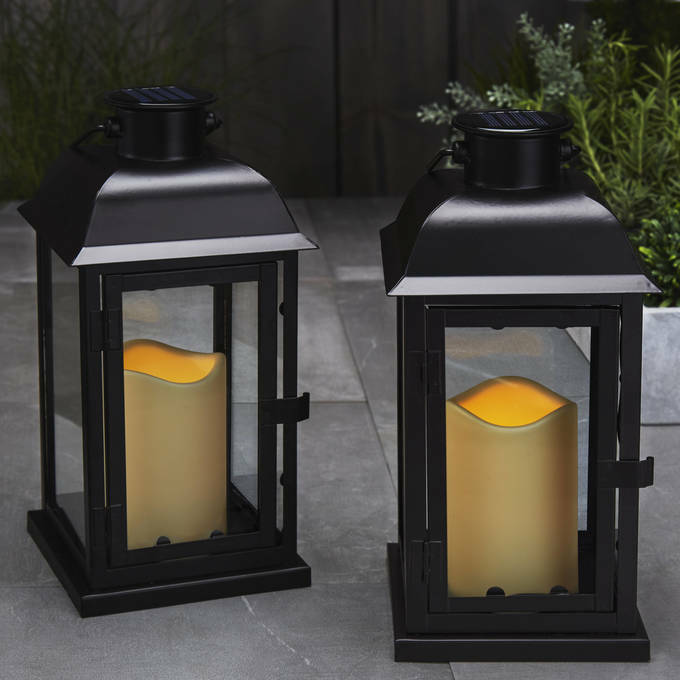 I bought these lights to illuminate porch, they are certainly heavy duty and they provide the atmosphere I was looking for. Arrived ahead of schedule packaged well. One bulb did not work and was immediately replaced. Great design on the cord for hanging. nice,well made heavy duty strand with eyelets on each socket for easy hanging/attaching the strand. Bulbs supplied, however, should be a little better and heavier. When I say treat them glass, I mean like fine crystal because they are VERY delicate. These lights are quality and exactly as hoped! Great purchase. 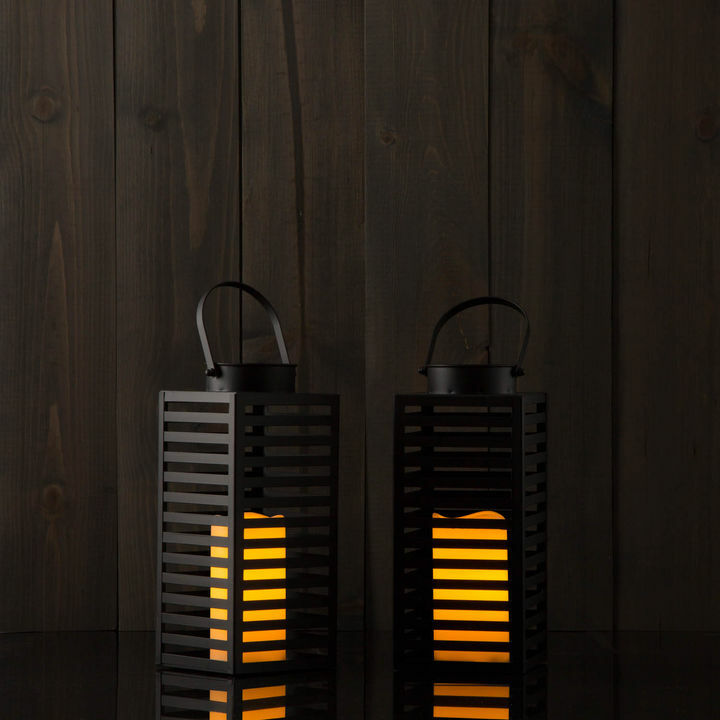 Heavy duty and very easy to hang with the integrated hang holes at each light. Only drawback is the length between lights when plugging one string into another. But this was not a deal breaker for me because I used them in a barn (it didn't need to look totally perfect) and because of all the other positives with this product. Agree with note from another reviewer - hang before putting in bulbs so as to take care not to break any. You only receive as many as you need - no extras! Heavy duty wiring with a good sized bulb. 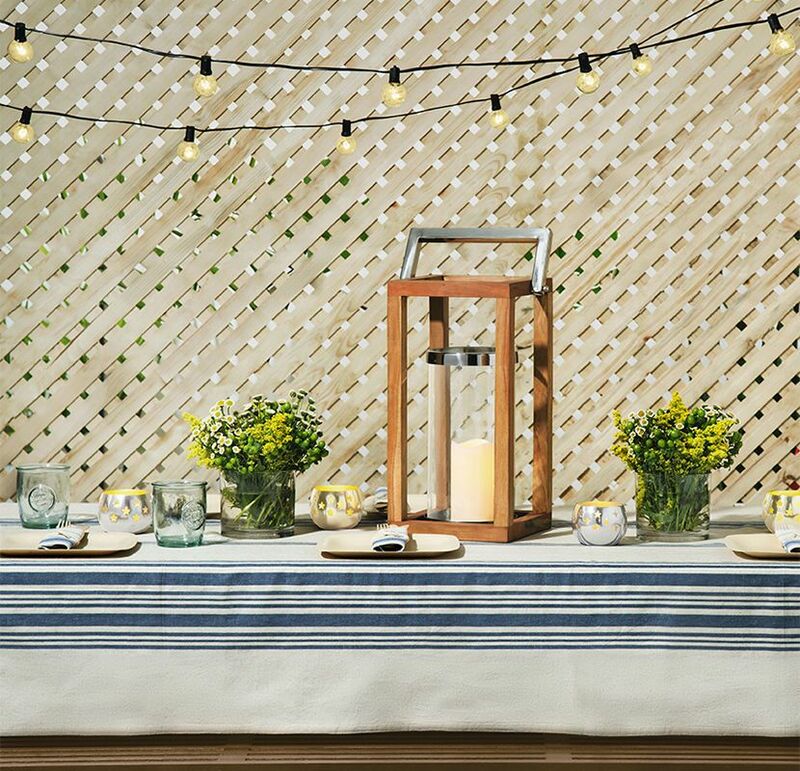 Will look great for my outdoor cabana/kitchen. Well worth the money. Well made with heavy duty wire. So worth the money spent! Great string of lights! High quality, should last for years. By the way, we love Brooklyn too! 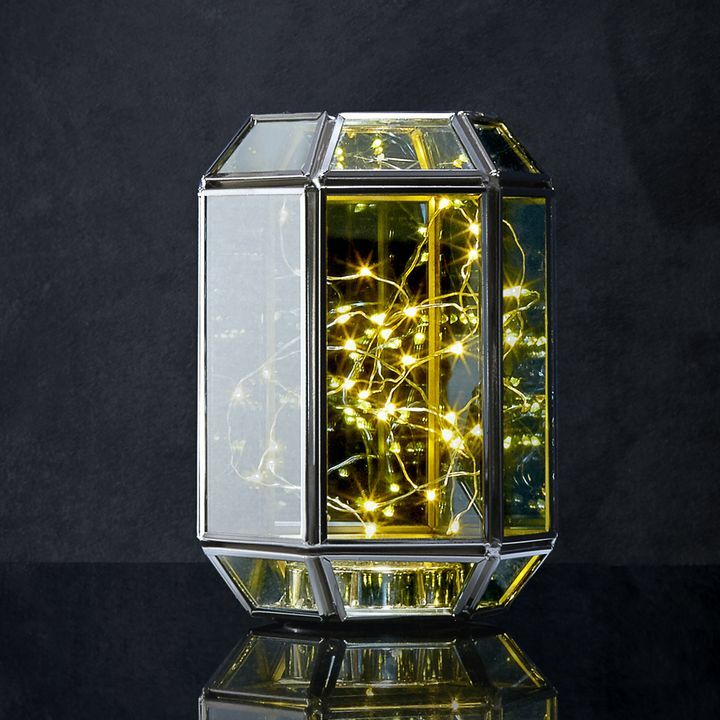 THESE LIGHTS ARE GREAT...JUST THE RIGHT AMOUNT OF GLOW ANYONE WOULD NEED FOR AND EVENING EATING / PARTY AREA.VERY HAPPY WITH THE PRODUCT AND THE PRICE. Shipping was fast, and what I ordered was just as described, very good quality. 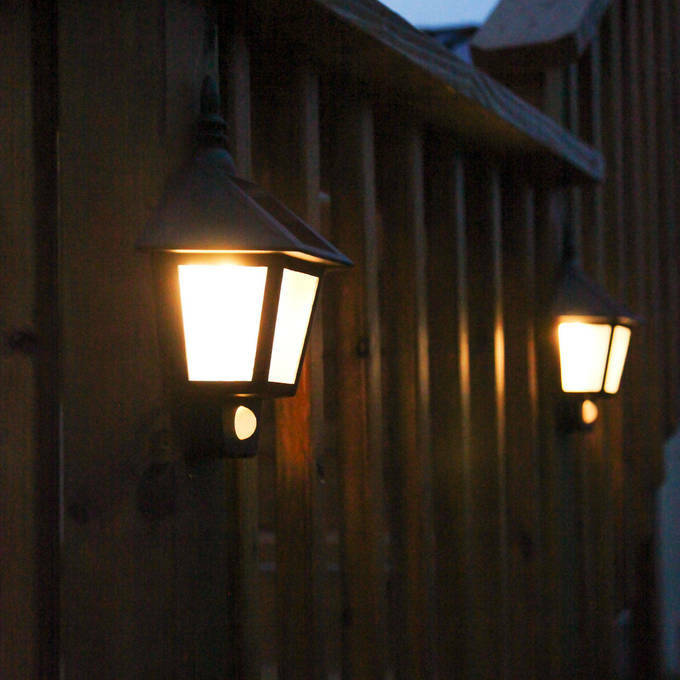 The lights are hardy, super easy to install and shipped super fast. I love the vintage light strand. 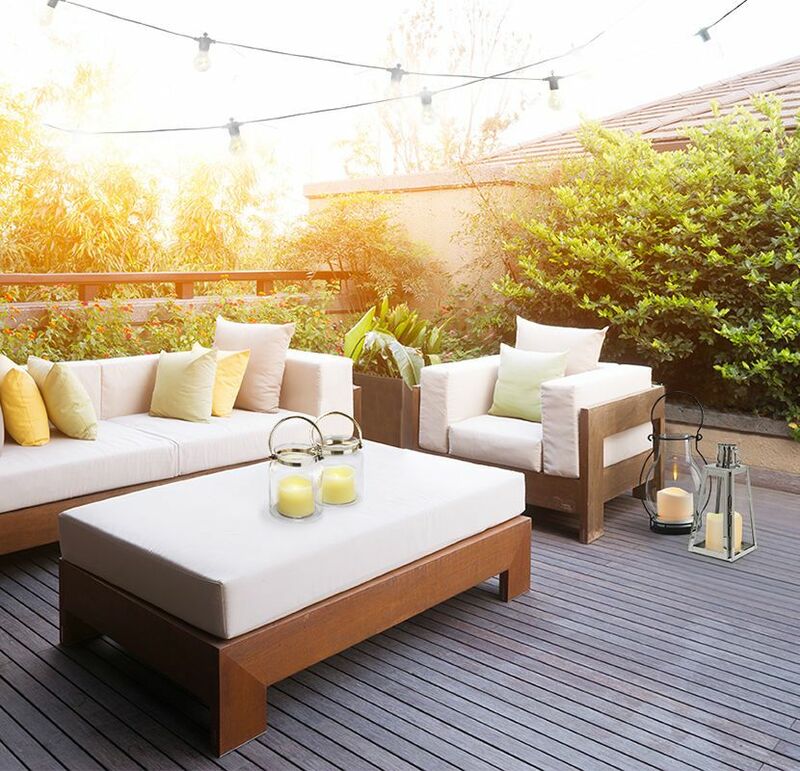 The cord length is perfect and they make my patio ambience amazing ! 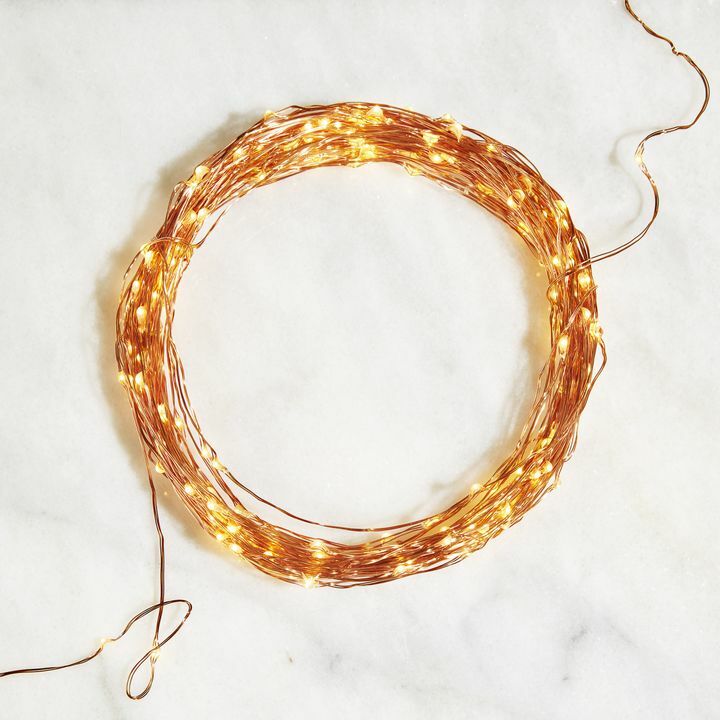 Are these string lights (s14 11w) dimmable? If so, can you recommend the appropriate dimmer control. Thanks. 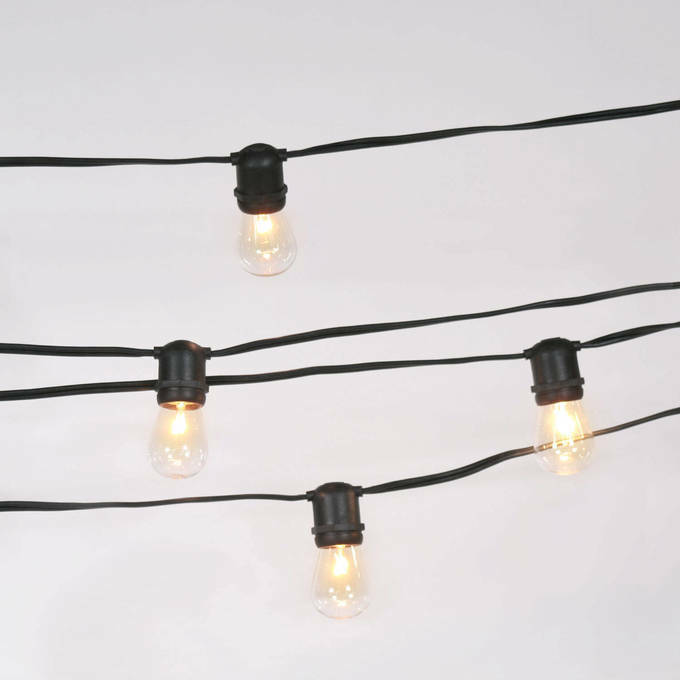 This set of string lights come with incandescent bulbs and should work with any standard dimmer accessory that you'd find at most hardware stores. When you connect two strands together is there a 6ft space between the two at the connection point or still only the 3ft for a continuous look without having to wrap the cord? 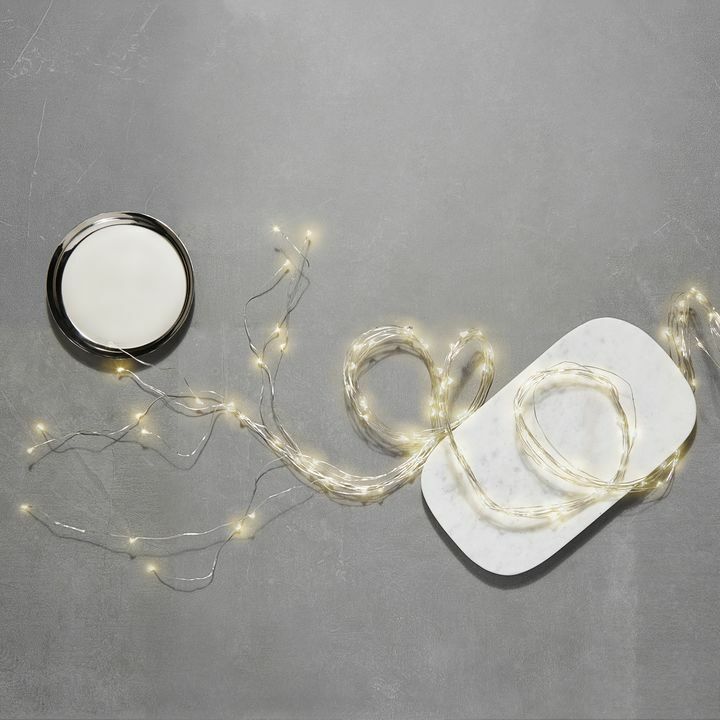 When you connect the strands, you can remove the access lead wires to create a seamless look. 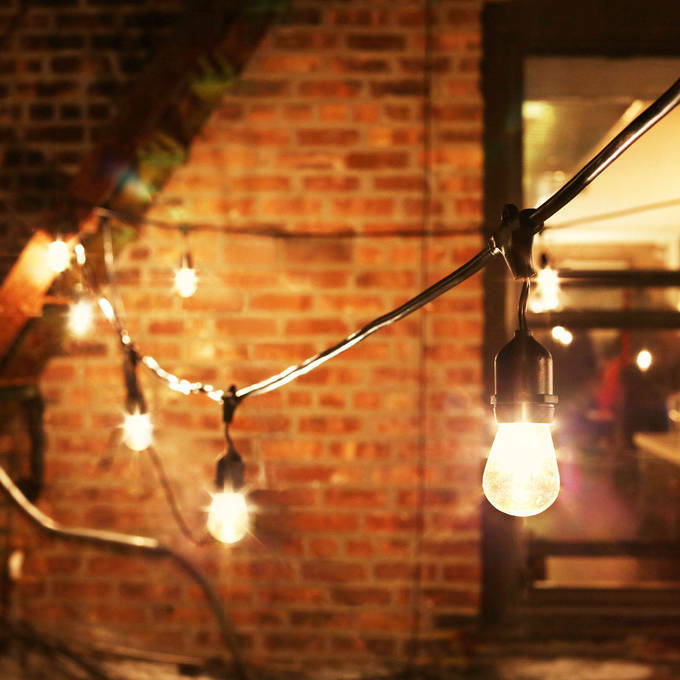 I am considering buying some of the string lights, but I am concerned about where to buy matching replacement bulbs. Do you carry these and how much are they? Sadly we do not however if you google (S14 11W clear bulbs) Tons of purchasing options will be at your fingertips for those very bulbs. Can multiple strings be connected together for these lights? Yes Can connect up to 7 additional strands to this string. Will they work in Australia or will I need an adaptor ? You would need an adapter. I purchased your LC003002 string lights and one bulb was defective. How do I order replacement bulbs? You've just done it. Your replacement order for 3 new bulbs has just been created. They should ship by tomorrow and be in your hands shortly after. I don't think I set up an account when I placed my order a few months back. Maybe you can look me up if I give you my address? Anyway, we bought some vintage string lights from you. I think they are the Heavy Duty 15-Socket Vintage Light Plug-in Strand with Bulbs. Two bulbs broke in a hail storm last week. What is the product number so I can order a pack of replacements from you. Also, how do you suggest we remove what is left of the broken bulb? My husband tried needle nose pliers but had no success. Thank you. Sadly we don't carry replacement bulbs for that item. You can however find them in the link below. https://www.google.com/search?q=S14+11W&ie=utf-8&oe=utf-8 You can reach our tech department at 866-490-9358 extension 108. they should be able to assist with removal of your defective bulbs. Good day Mark, If you could tell us how many bulbs are giving you an issue we'd be happy to have them shipped to you immediately. I would like to take these to our home in Bolivia, South America. There is 230 V. Will these work there? 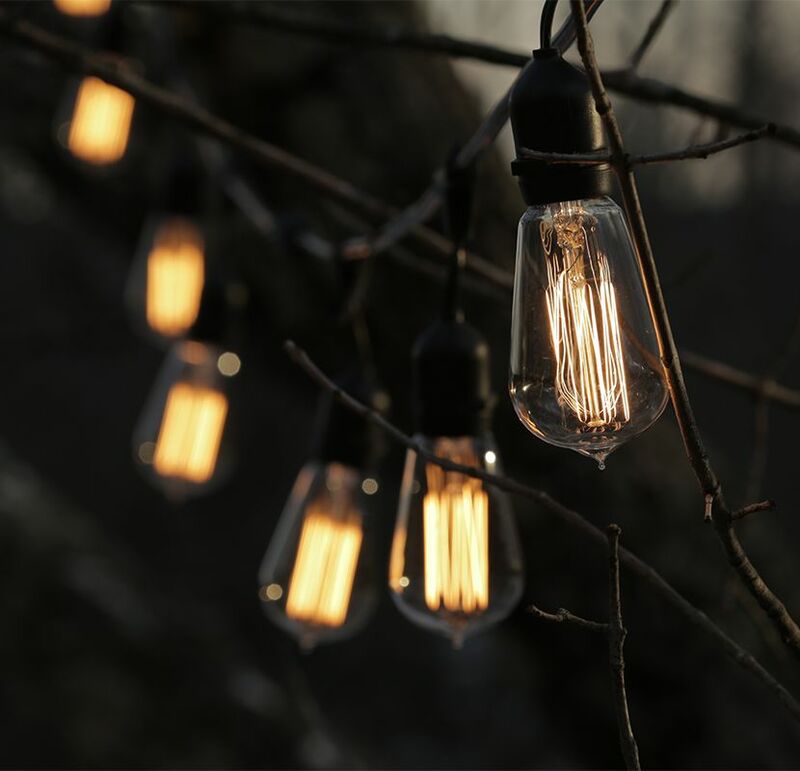 Are the vintage bulbs from Brooklyn Bulb Co. heavy duty enough for use in trees? We would like to leave them up three seasons a year. 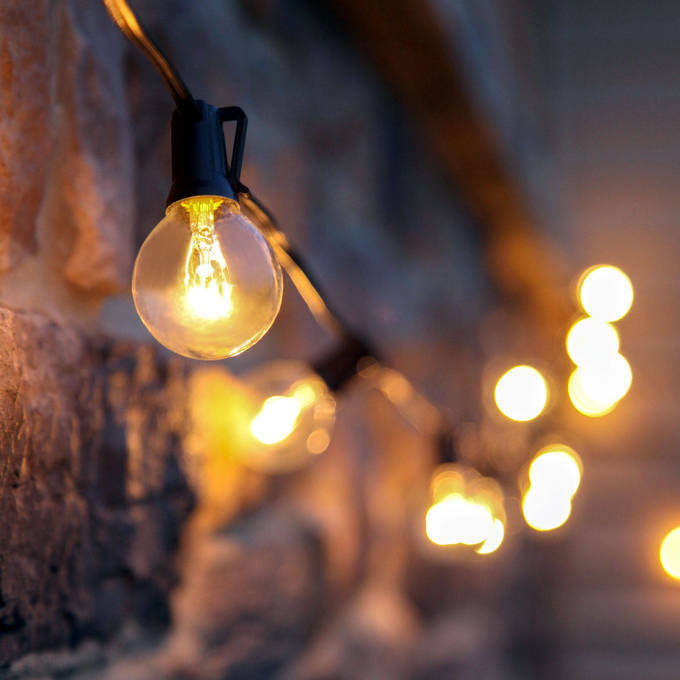 The wire is good enough to stay out that time but the bulbs are just a traditional glass bulb which may not hold up to the seasons at all. You should look for a bulb with a plastic bulb to protect from water and strong winds. 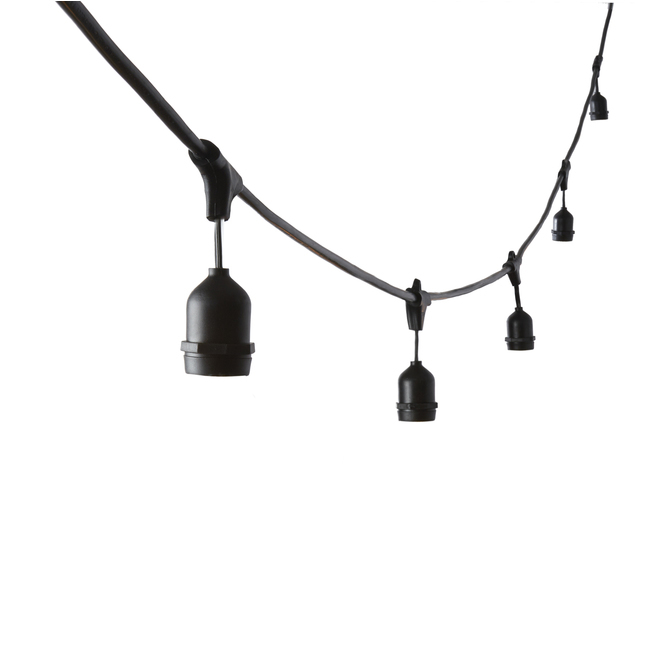 how do I replace bulbs if I choose to buy a strand? Simply unscrew it and place in a new one. Your replacement order is created and will be in your hands shortly. Have a great day. On these string lights, you show a .5/\" gauge. That is not a AWG (like 12 or 14 0r 16AWG) standard. Please provide that. 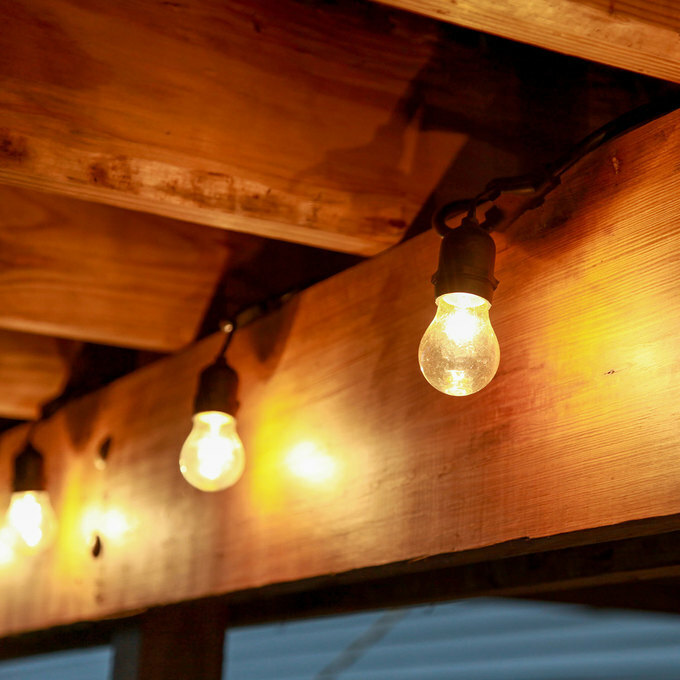 Also, if you tie two or more string together, will there be more than 3 feet between the bulbs where they connect together? These are 14 AWG with a lead wire of 6.2 ft. when connecting the lights. Is the light strand grounded? What is the guage of the wire? They are grounded and have a .5\" gauge. how long is the string? Bulb spacing is how many inches?